Note: Due to the size this order will be shipped as "SPLIT" panels. Instructions will be included. 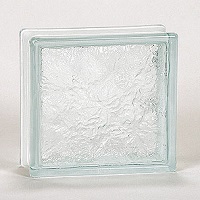 Choose between 3" Nubio or Ice pattern block. 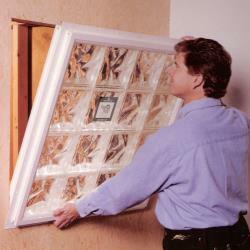 Why have a plastic block window, when you can have the beauty and brilliance of real glass block in a light, easy to install package. 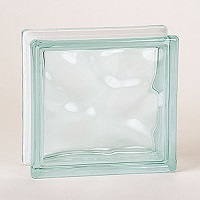 Demand Vinyl Wrap real glass block windows! Our sleek new vinyl window profile gives you more glass and less frame. Our sleek new vinyl window profile gives you more glass and less frame. Missile Impact (8' long 2 x 4 test) - Large missile impact and coastal structure loads are achieved with 4" system only using thick-set Glass Block units.